Each year Marina Dock Age magazine honors two marinas (one large – more than 250 slips – and one small) with the Marina of the Year awards. Facilities from across the country complete detailed applications, competing in many different categories – business operations, renovations, advertising/marketing, community and industry involvement, special challenges and more. 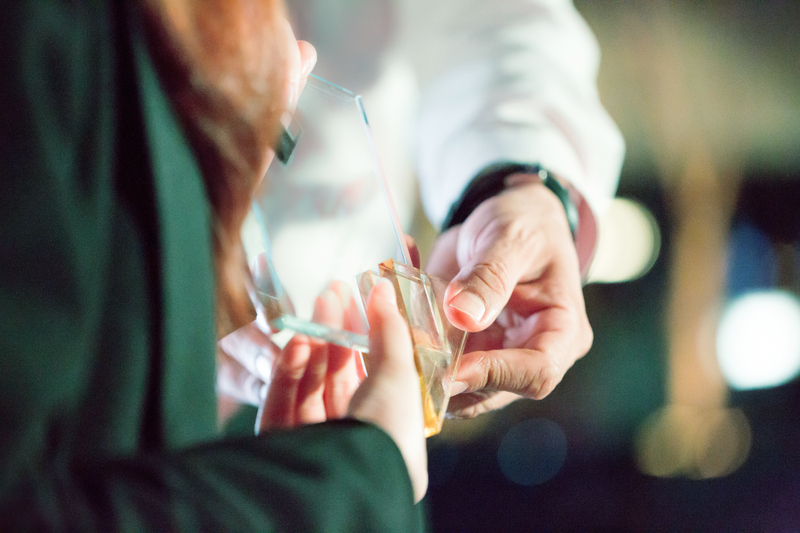 The winners were honored on December 6 at The Docks Expo at Music City Center in Nashville. See page 24 for more photos of the winners. In 1961, Jerry and Joyce Rockvam started a small facility on Lake Minnetoka in Minnesota, and 57 years later, the business is still going strong and still adapting every year to the changing market and business. Even with 50 wet slips, 120 dry storage spaces, a boat club, pontoon and fishing boat rentals and a winter storage business to keep them busy all year-round, the service business is still the core of this boatyard. 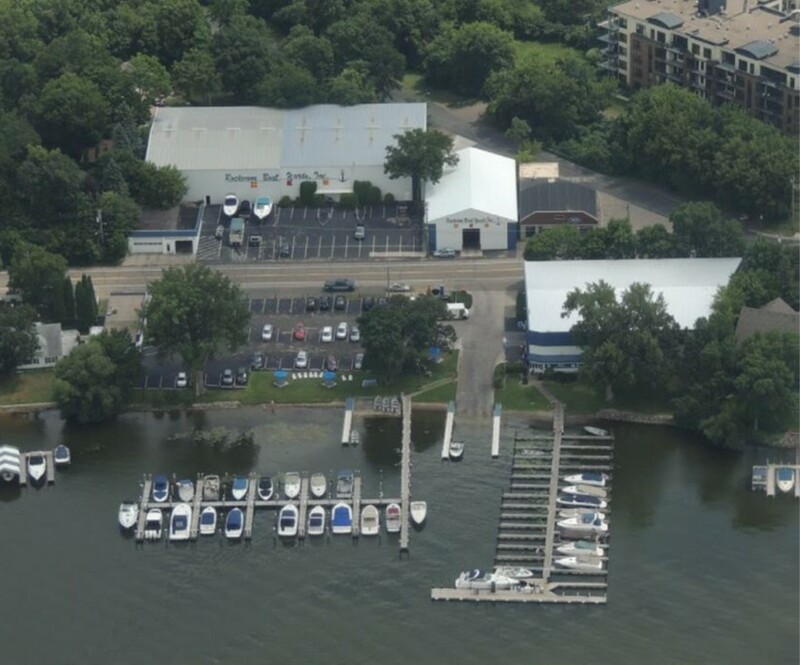 In 2012, Rockvam Boat Yards help create the Minnesota Clean Marina program, as one its inaugural members and an integral part of developing the guidelines. The marina has never stopped adapting and looking for new ways to serve customers on the lake and attract locals and new visitors to boating. With creative and persistence marketing, strong leadership and talented and well-trained employees, Rockvam Boat Yards excels at customer satisfaction and creating a special experience at its waterfront. 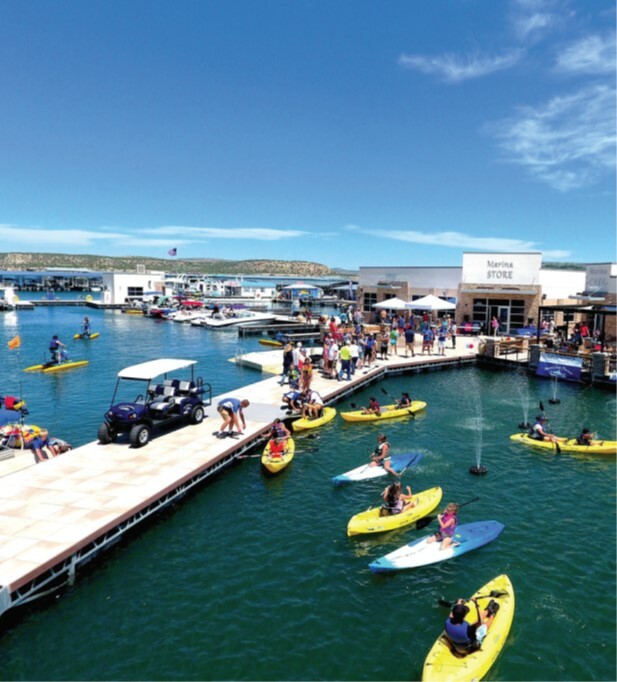 At Navajo Lake State Park in New Mexico, the 350-slip Navajo Lake Marina was completely revamped from 2013 to 2017, creating a new waterfront community for many types of boaters and tourists. The marina offers covered and uncovered slips, dry storage, moorings, boat rentals, a ship’s store, restaurant, fuel dock, fishing hole, splash pad and more. The original marina dates back to 1964 and had fallen into disrepair. With swift and substantial renovations, a targeted marketing plan and a strong ownership vision, the facility quickly became a draw for Navajo Lake. President and co-owner Jarrett Johnson was new to the marina business and has found innovative and creative ways to meet the challenges of a remote location, to capture a continuing stream of new customers, and to create a new waterfront experience in the scenic desert, where boaters old and new want to return. For more information about the Marina of the Year applications or to download the application instructions, visit www.marinadockage.com.